Since I’ve gotten into using spices for easy weeknight meals, I’m always on the lookout for a simple hack. I decided to try spicing up a simple baked chicken dish with the addition of one of my favorite spice blends. 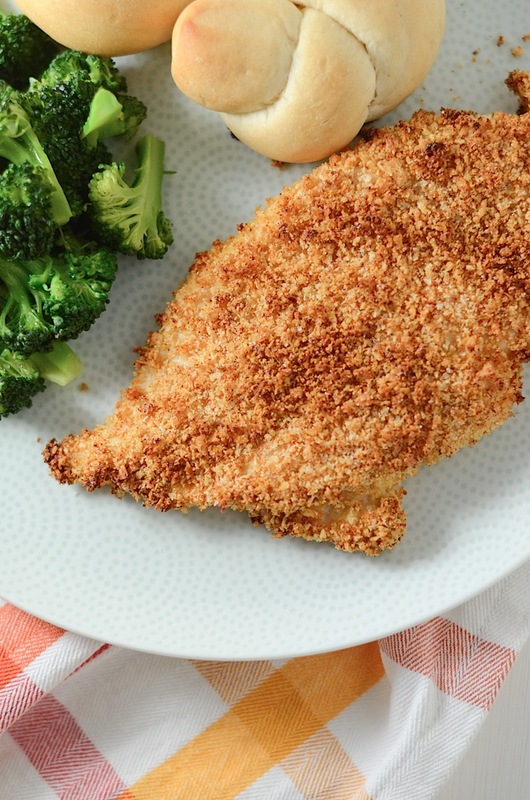 The result was a winner, and the combinations are endless since you can use whatever your favorite spice blend is in this Easy Spiced Oven-Fried Chicken Recipe. I used this Crispy Oven-Fried Almond Chicken as my baseline. I switched the spices in that recipe for a spice blend. Another change I wanted to make was switching to all panko bread crumbs and ditching the almonds. The almonds are delicious, but they add time. Though they add great flavor and texture, they also add some extra steps to get them crushed/chopped small enough to stick to the chicken. My lazy side wanted to just pour the panko straight out of the box without requiring any additional steps. I really do think that these little time-savers can make home cooked meals more realistic for us busy-bodies. The use of a pre-mixed spice blend also shortens the ingredient list. Rather than pulling several spices, you can just get your favorite spice blend and mix it on in. By changing the spice mix you use, you can change the entire flavor of the dish. 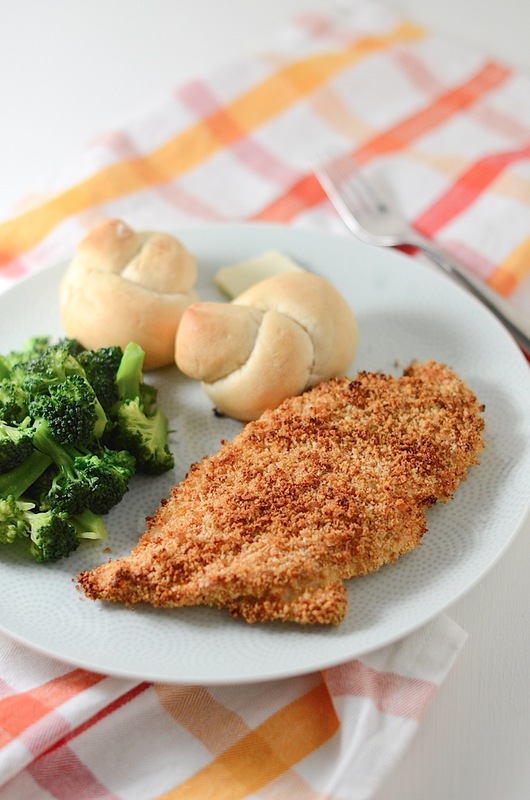 And there are so many great spice blends out there (not to mention the ones you can mix up on your own, if you’re feeling frisky), there’s a world of flavor out there just waiting to be enjoyed in this Easy Spiced Oven-Fried Chicken Recipe. 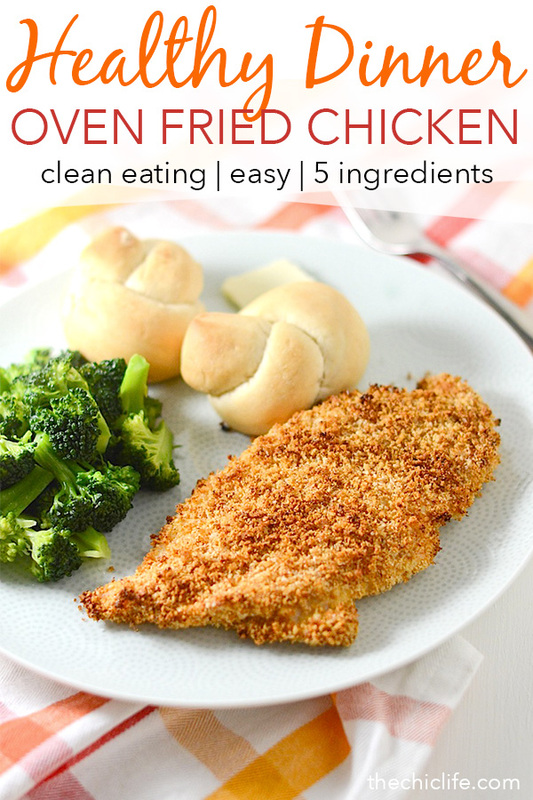 Here’s an easy way to spice up a healthy oven-fried chicken recipe. Just add your favorite spice blend. I used Homestead Seasoning from the Savory Spice Shop, but any spice blend will do! I used 1 tablespoon for full on flavor. Afterall, when I grill with this blend, I use it as a rub and use about the same amount to coat the whole chicken. 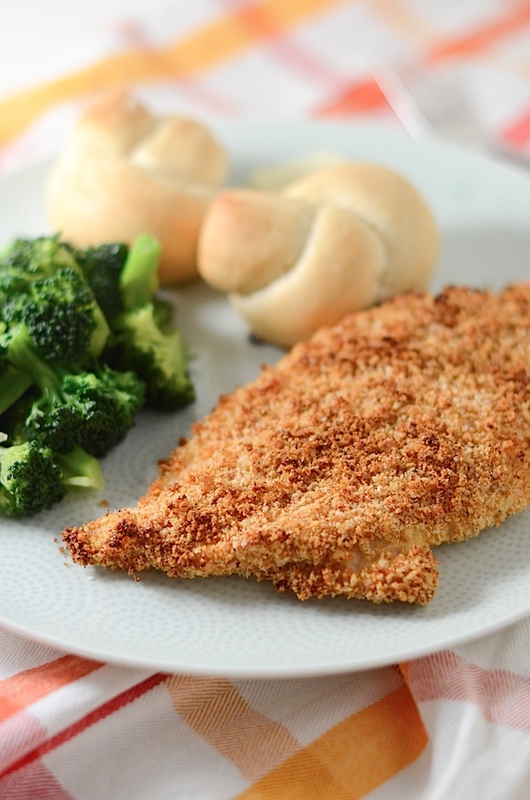 The panko will help dilute the flavor, but just experiment to find your preference. 1 teaspoon – 1 tablespoon of your favorite spice blend (I used Homestead Seasoning from the Savory Spice Shop), depending on how flavorful you want it. Mix panko bread crumbs, spice blend, and salt (if using) in a wide/low bowl (or other small container with sides). In another bowl similar to the one containing the panko, whisk together the egg and milk. Dip chicken into the egg mixture, then press both sides into the panko mixture. Be sure to press in the areas that do not easily get covered by the panko mixture. You may have to pick up some of the panko and press it in with your fingers. You’re not going to get a perfect coverage, but try to apply as much of the panko mixture as possible for extra crunch. Like this recipe? You can use the share buttons at the end of this post to share this on Pinterest, twitter, and Facebook. Happy cooking! 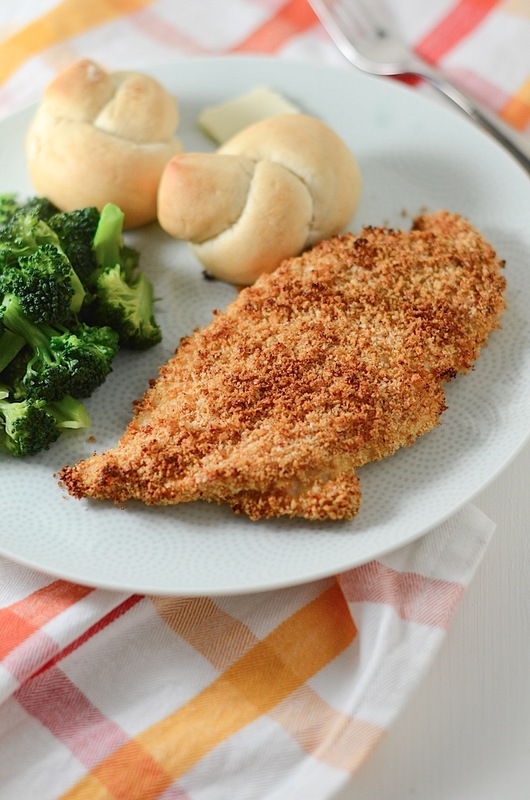 Hope you enjoy this Easy Spiced Oven-Fried Chicken Recipe! This looks very tasty, I’ll have to try it out at home! I’ve been looking for some dinner ideas.